The design of almost every mobile phone is almost the same but the design of Huawei P20 Pro smartphone is different from other smartphones. From the design side, the Huawei P20 Pro Smartphone is the best smartphone of 2018. This phone has 6.10 OLED full hd full view display and has real home button. The color combination on the back of it has made a great one. This type of color is such a design that is the first of all. If you hear the camera about this smartphone you can probably do the heartfelt because this phone has a 68 megapixel leica camera. Yes, Yes, you are really hearing P20 Pro is a 68 megapixel camera smartphone. We are all less familiar with Dual cameras but it has a triple camera. 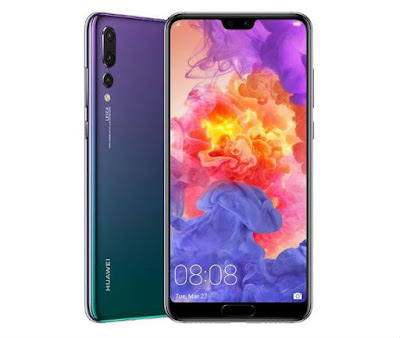 Huawei P20 Pro has three back cameras (40+20+8 Megapixel) that merges to deliver exceptional quality shots.The type of camera used on this phone has not been used on a smartphone previously. So it can be said that this is a new history in the smartphone camera world. The only professional photographer knows what the Leica camera is ?The Leica camera has its own reputation in the world of camera. Now we're going to enter the dual camera to triple camera era. With this camera we have highlighted the light details, sharpness, color, contrast, contrast adjustment. Even we will always get good quality pictures in the day or night. According to the smartphone experts, the P20 pro smartphone has achieved the first position with 109 scores. P20 is the second position with 102 marks. However this phone has 4000 mAh battery with super fast charging Technology. And other features are water and dust proof body, Octa Core-micro core i7 CPU, 6 GB RAM UHD Video are also impressive in this device. It is a sad fact that this phone does not have OTG support and there is no Gorilla Glass. Price in Bangladesh : 82,990 Tk.